Flying with your companion is likely more easy than you think. Flying with a service dog can seem like an intimidating proposition if you've never done it before, but have no fear: Airline rules are designed to make it simple and straightforward to take your service dog with you on your travels. 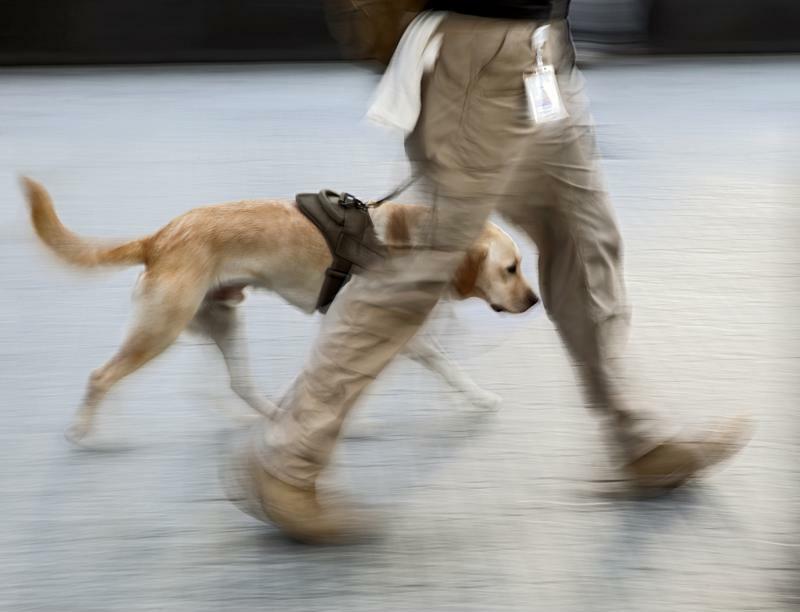 There are extra steps that need to be taken into consideration, but once you're familiar with the process, you and your service dog can be airbound in no time. The TSA rules themselves are fairly straightforward. Knowing them well, however, will empower you to go through security with confidence and without fear of confusion or discrimination. According to TSA rules, you will never be asked to separate from your service animal. You are asked to inform TSA personnel that you are traveling with a service dog, and to allow extra time for screening. If you need to leave the airport to relieve your dog after you've gone through security, you will need to go through the process again. Different airlines have different policies and interpretations of the TSA guidelines. It's always best to call ahead and ask about specific rules and procedures. For example, different airlines request different forms of confirmation that your service dog is, in fact, a registered service dog. Some are happy to accept the presence of a harness as proof, where others may want identification cards or letters from your doctor. Calling ahead and confirming the required information will save you a lot of stress in the airport. Service dogs must be well-behaved while in the airport. When flying with your service dog, it's always worth it to consider your dog's comfort. For example, your dog isn't going to have a chance to relieve itself for a pretty long time once you enter the airport. Try to limit water consumption before you depart, and give your dog lots of exercise to encourage elimination. Make sure your dog is on its best behavior. Although the airline will not ask you what your disability is, it's perfectly okay for them to ask what tasks your dog is trained to perform. When communicating with airline staff, staying courteous and helpful will make the process go smoothly. Be respectful of other passengers, and be mindful of fear or allergy concerns while in the terminal. Once on the plane, your dog is expected to sit in the space in front of your seat. You have a mental or emotional disability that appears in the Diagnostic and Statistical Manual of Mental Disorders, Fourth Edition. The emotional support animal is necessary for your health on the flight and/or at the destination. The individual writing the letter is a licensed mental health professional or medical doctor, and that you are under his or her care. The state or other jurisdiction in which the license was issued. Again, different airlines may have different guidelines regarding documentation and procedures, so always call ahead.